No. 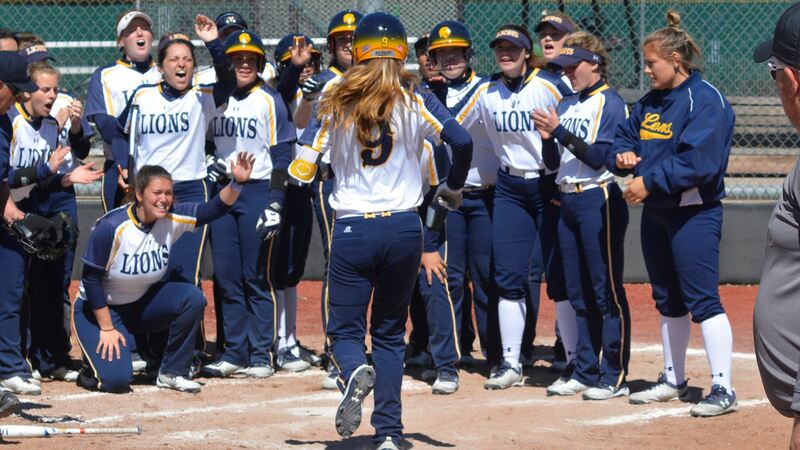 15 Lions split a doubleheader against New Mexico Highlands, win game one 15-0. LAS VEGAS, N.M.– The No. 15 Texas A&M University-Commerce softball team split a doubleheader against New Mexico Highlands on Monday afternoon. The Lions won the first game 15-0 and lost the second game 6-5. The results bring the Lions to 22-9 on the season while the Cowgirls go to 6-13. The Lions return home on Friday for an LSC doubleheader against Western New Mexico. The games will begin at 4:00 p.m. at the John Cain Family Softball Field. The teams will then meet in a single game on Saturday at 1:00 p.m. Tickets to the series are available at WeAreLionsTix.com, by calling (903) 468-8756, by visiting the Lion Sales & Service Box Office in the Field House or by purchase at the gates of the John Cain Family Softball Field. – Avery Boley hit two home runs, including her first career grand slam. She had five RBIs. – Madison Schaefer (Frisco – Independence) also had a grand slam and hit a triple. She had six RBIs in the game. – Bri Sims (Rowlett) also had a home run in the game. She had two RBIs, even hitting a double. – Kinsie Hebler (Cypress – Cy Fair) had an RBI double. She also pitched the final inning, not giving up a hit. – Vanessa Muro (Oak Hills, Calif.) also had an RBI and scored three runs. 10 different Lions scored runs in the game. – Emily Otto pitched the first four innings, striking out six without giving up a run. She earned her 14th win of the season. The Lions got things started early in the first inning. The first three batters were hit by pitches. Muro then reached on an error, which scored a run. Schaefer then walked in a runner. All base runners scored on the grand slam from Boley. The Lions led 6-0 after one. The Lions added two more runs in the second inning. Sims hit a home run. Schaefer then hit a triple to score another run. Otto struck out a batter in the bottom of the frame. Otto worked herself out of a jam in the third inning, striking out two, including the final batter of the inning with bases loaded. The Lions led 8-0 after three complete. A&M-Commerce added to its lead in the fourth inning. After three consecutive walks, Schaefer came to the plate and blasted a pitch to right center, scoring four runs. She was followed by Boley, who hit a solo home run. Hebler brought in another run on an RBI double. The Lions led 14-0 after Otto struck out all three batters she faced in the bottom of the fourth. Sims had an RBI double in the fifth to score the Lions’ final run of the game. Hebler pitched in relief in the bottom of the fifth and kept the game scoreless to secure the win. – Kayla Kilcrease had three RBIs on the double in the fourth inning. She also scored a run. – Kinsie Hebler had an RBI triple. She also pitched the final 4.1 innings, striking out two. – Vanessa Muro also had an RBI double. Jodie Hill (Heavener, Okla.), Allie Thompson (Lindale), Kimber Neal (Humble – Atascocita) and Serina Aguilar (Houston – Spring Woods Senior) all scored runs. – Emily Otto started the game, striking out six in the first two innings. Otto struck out three in the bottom of the first inning and the Lions loaded the bases in the second inning, but could not bring a run across. The Cowgirls then led the second inning off with a double before Otto struck out three more. The game remained scoreless after two full innings. The Lions loaded the bases once again in the third inning with two outs but could not get a run. The Cowgirls then did some damage at the bottom of the third. Two leadoff singles were followed by a double that scored two runs. Another double scored two more runs and a single brought in another. NMHU led 5-0 after three complete. The Lions scored three runs in the top of the fourth inning. Three consecutive Lions reached base via the walk, and all scored on the double from Kilcrease. Hebler retired the side in the bottom of the fourth, and the Lions trailed 5-3. After a scoreless fifth by both teams, the Lions added a run in the sixth inning. Kilcrease was hit by a pitch and scored on the double from Muro, cutting the lead to one. The Lions then tied the game in the seventh. Aguilar drew a walk and scored on a triple from Hebler. The game was tied at five headed into the bottom of the seventh. The Cowgirls rallied, getting three singles, the last of which brought in a run to end the game. Lion men sit in fourth, will chase title at Hillcat Classic. 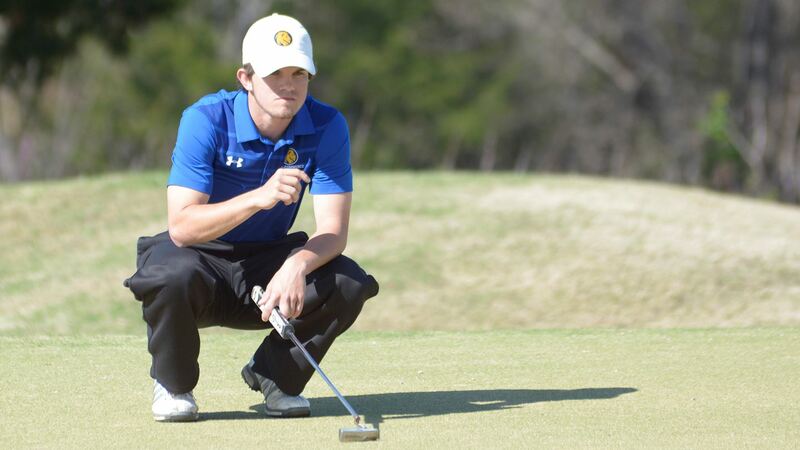 OWASSO, Okla. – The Texas A&M University-Commerce men’s golf team sits in fourth place after 36 holes at the Rogers State Hillcat Classic, and the Lions are in a position to battle for the tournament title down the stretch. The Lions shot 589 (299-290, +21) over two rounds of action on the par 71 layouts at Bailey Ranch Golf Club, and are one of six teams within six shots of Arkansas-Fort Smith’s lead (+17). “Very proud of the guys and how they battled a really long day. We fought hard and are in great shape after day one,” said Lion head golf coach Matt Ward. “We’re in the mix with all of the teams that are right in front, and behind us in the regional rankings, so tomorrow becomes especially important. Zach Burch (Lubbock – Cooper) leads the Lions in fourth place at 144 (+2, 71-73). He notched eight birdies throughout the 36 holes, including six in the second round. Lucas McCubbin (Midland) is in seventh place at 146 (+4, 75-71) with three birdies in each round. Blake Hartford (Spring – Klein Collins) is in 14th place at 148 (+6, 75-73) with eight total birdies on the day. Garrett Landers (Sulphur Springs) is in 26th at 151 with five birdies, and Joe Wolcik (Cleveland – Tarkington) is in 46th at 158 with four birdies. The Lions will stalk the top of the team leaderboard with 18 holes of action Tuesday. Lion women in fourth after first round at Hillcat Classic. 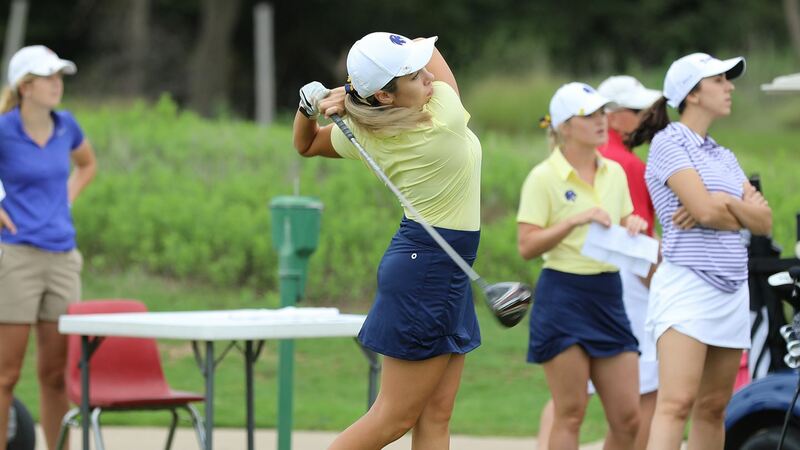 OWASSO, Okla. – The Texas A&M University-Commerce women’s golf team sits in fourth place after the opening round of the Rogers State Hillcat Classic on Monday. The Lions shot a 30-over par 318 in Monday’s opening 18 holes, and are 10 strokes behind leaders Newman. “I’m pleased overall with how the team played,” said Lion head golf coach Matt Ward. “A couple of players struggled early, and a couple fought late, but we left ourselves in position to make a run at the leaders, and we should post another top-five finish. I’m really liking how we consistently finish well. Paige-Lee Garris (West Palm Beach, Fla.) is tied for fourth on the individual leaderboard, only two strokes back of the tournament leaders. She shot a 4-over par 76 with a pair of birdies in Monday’s round. Sarah Wongsinth (Udon Thani, Thailand) and Sophie-Charlott Hempel (Pirmasens, Germany) are tied for 11th at 6-over par 78. Wongsinth had no hole worse than a bogey, and Hempel opened and closed her round with birdies. Makena Thomas (San Antonio – Reagan) is tied for 34th at 86, Lauren Bentley (League City – Clear Creek) is 41st at 90, and Karlee Nichols (Spring Branch – Smithson Valley) is 49th at 96. The tournament closes with 18 holes Tuesday. Kristov Martinez named Collegiate Scholar-Athlete by NFF Gridiron Club of Dallas. 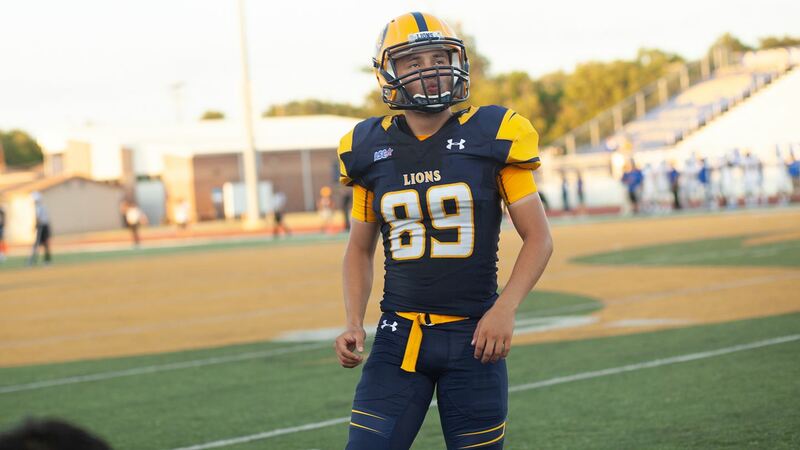 IRVING – Texas A&M University-Commerce kicker Kristov Martinez has been named a Collegiate Scholar-Athlete by the National Football Foundation’s Gridiron Club of Dallas. He will be recognized for his accomplishments during the chapter’s 11th Annual Awards Banquet this Sunday, March 24, at 6:00 p.m. at the Dallas/Addison Marriott Quorum by the Galleria. Martinez (Edinburg) was a first-team All-American both on the field and in the classroom, earning CoSIDA Google Cloud Academic All-America honors in his senior campaign. He was a five-time All-American in the 2018 season with seven All-American honors in his career after another record-setting campaign in which he set multiple schools, conference and NCAA records. After becoming the all-time leading scorer in program history in 2017, Martinez became the all-time leading scorer in Lone Star Conference history during his senior season. He finished his career as the active scoring leader in Division II (449 points) and the all-time leading kick scorer in Division II history. Martinez was named a First Team All-American by the AFCA, Associated Press, and D2Football.com, First Team Academic All-American by CoSIDA, and Second Team All-American by the D2CCA. He was both a First Team All-Super Region and First Team All-Conference selection and was also named the LSC Academic Player of the Year. Martinez scored 111 points on the year, including 21 field goals and all 48 of his extra point attempts. He finished his career having made 103 consecutive extra points. His strong leg helped the Lions rank as one of the top kick return defenses in the nation, recording 32 touchbacks. He tied a Division II playoff record with five field goals in a game, including a career-long 55-yarder, in the team’s final game of the year. Martinez earned his bachelor’s degree in Business Administration in December 2017 and is working on his master’s degree in secondary education. During the 2017-18 academic year, Martinez was named an LSC Scholar-Athlete and has been named to the LSC All-Academic team three times, the Dean’s List twice, the President’s List four times, the Best In Class list five times, and the Athletics Director’s List four times. He has been named to the Lone Star Conference Commissioner’s Honor Roll seven times and is a two-time recipient of Division II Athletics Directors Association Academic Achievement Award. Willie Rooks named D2CCA Second Team All-Region. 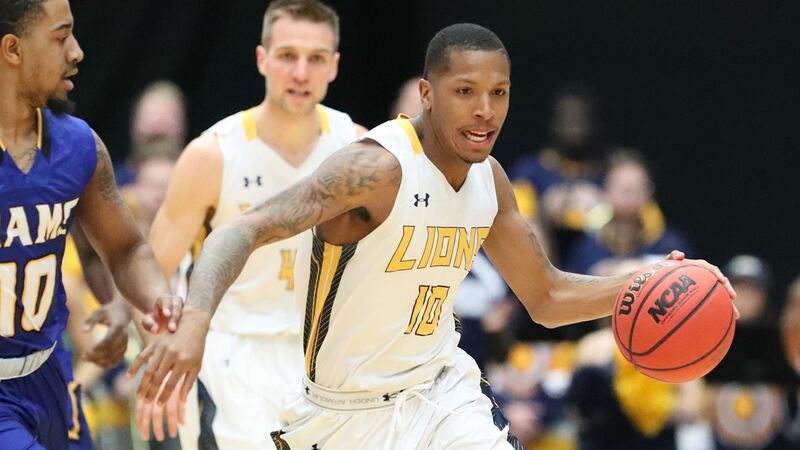 DURANGO, Colo.– Texas A&M University-Commerce men’s basketball player Willie Rooks has been named to the Division II Conference Commissioner’s Association (D2CCA) All-South Central Region Second Team. The All-Region teams were released on Friday by the D2CCA. Rooks– a senior from Houston (North Forest)– earns the first All-Region honor of his A&M-Commerce career. He was a First Team All-Conference selection, leading the Lions in scoring, rebounding and minutes played, and he made LSC history as the first player in conference history to record a triple-double in the LSC Tournament. Rooks ranked fourth in the LSC in minutes played and was tied for the conference lead in three-pointers per game. He also ranked sixth in the LSC in field goal percentage, 10th in rebounds and 11th in assists. He has scored in double figures in 27 of the Lions’ 31 games of the season. Rooks and the Lions are the fourth seed in the NCAA Division II South Central Regional Tournament. They will face fifth-seed Dallas Baptist in round one of the tournament. The game will be played on Friday at 7:30 p.m. at First United Bank Center in Canyon.